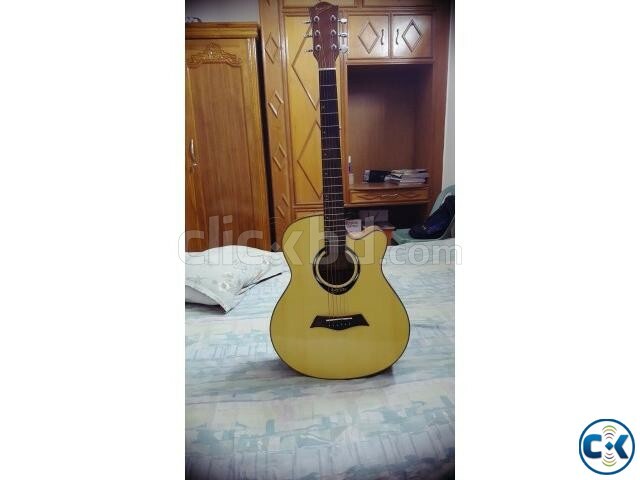 Hello, i bought this guitar over 1 year ago from guitar world for 9500taka but now current market price is 7280taka. It is a very good guitar for beginners. Sound quality is very good and not scratch on it took great care of it. Even the sticker is still on and the back stickers of the tuning rods are still on. It come with bag extra string pack, capo, guitar stand. Reason for selling i need money. contact in this number 01789795142.